With due respect, it is stated that I had resigned from the company in the previous month and has served the mandatory notice period also which ended on (Date: DD/MM/YY). (Describe in your own words). Could you please advise the (Department Name) to release my end of service dues as soon as possible because I have shifted to another city pursuing my next job. (Explain the actual cause and situation). As a reference, I have attached a copy of the resignation letter and also the vehicle handover form so none of the company assets are under my possession at the moment. (Describe your requirements). Please do the needful as it is very inconvenient for me to travel from the other city to the company office for the follow-ups. It is to bring into your kind attention that I had resigned from my post of [Job Designation, e.g., Chief Financial Officer (CFO)] via resignation letter no. XXXX. (Describe in your own words). 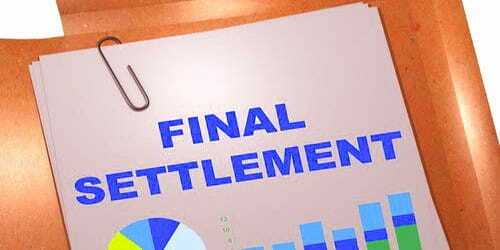 This letter is intended to request for the settlement of my outstanding receivables from your kind side. For your convenience, I am enclosing herewith my outstanding receivables duly adjusted with the impact of advance obtained for the purpose acquisition of dwelling home and to purchase my Car (Describe your loan and other advances if you had). You are hereby requested to reconcile the workings mentioned in enclosed documents with the same being maintained by the (Department name). (Explain the actual cause and situation). In case of any disagreement, please bring the facts into my knowledge so that I may resolve the matter at my earliest convenience. I would be really obliged for your kind favor. (Describe your requirements). Thanking you and with profound regards.